Looking for the best mattress for scoliosis? Congratulations on taking the first step towards transforming your sleep and waking up pain-free. Most patients never get here because they’re too busy wallowing in pain and cursing their stars. Feeling devastated after a doctor has just confirmed that you’re suffering from scoliosis is understandable. However, you can at least take some comfort from no longer being in the dark about why you wake up with so much discomfort each morning. Sure, there may be no cure for scoliosis. But, there are specific mattresses that can offer just the right amount of support required to keep your curved spine in check and diminish the associated pain. Remember, scoliosis is a twisting and curving of the spinal bone to the side, causing significant distortion of walking posture as well as severe forms of pain. The best mattress for this medical condition should therefore be able to eliminate all of the body’s core pressure points and allow you to sleep in a neutral position. We are proud to have compiled the top 7 mattress models recommended for anyone suffering from scoliosis and other conditions associated with severe discomfort. However, before we dive into our top picks, it is critical that we know some critical bits of information about the condition and its relationship with sleep. Scoliosis can have devastating effects on the quality as well as duration of sleep. Most patients suffering from the condition wake up several times in the night due to the unbearable levels of pain and discomfort. How can anyone enjoy a deep sleep and be ready to function with such astonishing levels of pain? Over time, the long-term inability to rest after a long hard day begins to take a toll on your overall state of health. Apart from getting a comprehensively designed mattress that provides absolute comfort and support for patients with distorted spines, choosing quality sleeping positions can also significantly eliminate the symptoms associated with scoliosis. Keeping an open mind is vital towards finding the right mattress to battle any form of scoliosis. There’s no one-size-fits-all solution in the market for everyone because each scoliosis patient has different circumstances ranging from the angle of curvature to the extent of pain and discomfort he or she may be experiencing. Our comprehensive buying guide for scoliosis patients features smart tips and tricks you need to know in order to find the most suitable model for your needs and budget. Our aim is to simply take the guesswork out of your shopping so you can buy with confidence and more importantly, wake up pain-free. For some reason, Chiropractors and other specialists seem to have a very high opinion of latex mattresses for patients suffering from spinal curvatures. However, most scoliosis patients actually have a preference for Memory foam models due to their natural ability to conform to the angle of curvature of the spine to provide relief from pain. Also, keep in mind that memory foam provides exceptional spinal support which can come in really handy for scoliosis patients with significantly distorted spines. What is the right level of firmness to look for in a scoliosis mattress? Again, there’s no one size fits all solution here. Multiple factors including the type of scoliosis as well as individual sleep position preferences can come into play. Side sleepers and thoracic scoliosis sufferers tend to prefer softer mattresses due to their need for superior pressure point relief on the hips and shoulders. Back and stomach sleepers on the other hand usually prefer relatively firmer mattresses. The type of material featured in the top cover of a mattress is another important factor to consider especially as a scoliosis patient. Choosing a fabric with a gentle feel is non-negotiable because that is the part of the mattress your skin makes contact with. You wouldn’t want to end up with a fabric that irritates your body, would you? Additionally, opting for a material with fantastic levels of breathability can ensure genuine comfort even during unbearably hot times of the year. Want to gain relief from scoliosis symptoms without changing your mattress entirely? The right mattress topper can do the trick. These toppers are simply additional layers of cushion that can stand between your body and old mattress. For adequate support and pressure relief, it is critical that you select a topper made from memory foam or another premium material. The right topper can also help redistribute your weight evenly all night long so you don’t wake up with pain in any areas. Nothing should stand in your way of choosing the best bed for scoliosis now. Here are the 7 models which continue to deliver amazing sleep for those suffering various degrees of scoliosis. Each of them is a winner, so feel free to go through and decide which fits your personal preferences and budget. The Tuft & Needle is a top mattress for Scoliosis patients and everyone who wants to wake up each morning feeling well and alive. It is no mere coincidence that over 90% of the 10,000 verified buyers have taken the time to rate this model a 5 out of 5 for its incredible look and feel as well as performance and durability over the long haul. This model can be a welcome relief for those who’re tired of shelling out on overhyped overseas made mattresses that fail to last through the distance because it is 100% made here in the United States. Additionally, the company’s unflinching commitment to not just manufacturing superior mattresses but seeking the well-being of its employees is legendary. This is why Entrepreneur magazine has ranked it #1 for Company Culture. Still not sure this baby is for you? Take advantage of Tuft & Needle’s risk-free 100-night sleep trial to get up close and personal with it. With a completely honest 10-year warranty on offer as well, what have you got to lose when you buy this mattress? 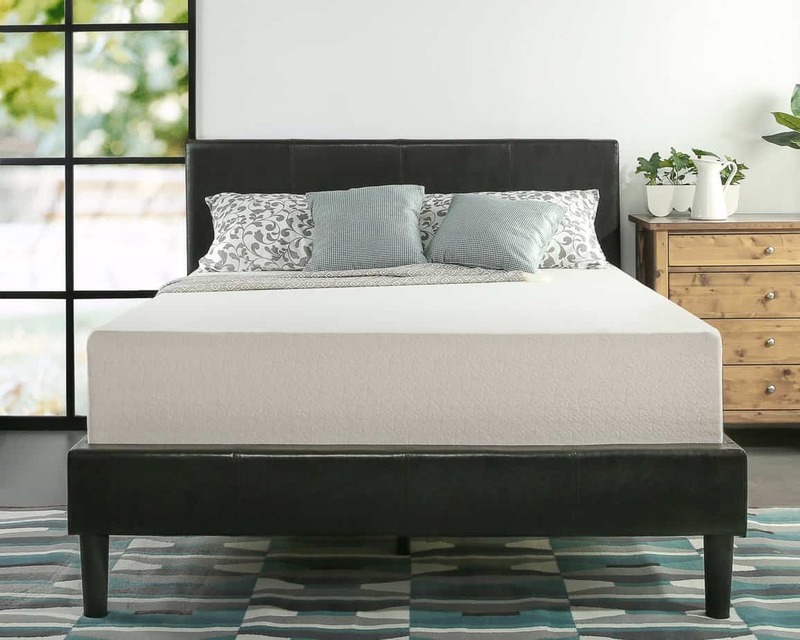 The Tuft & Needle stands out from the other models on this list thanks to the use of high-grade Adaptive foam which is several shades above traditional materials such as Latex and ordinary Memory Foam. This mattress isn’t too firm or too soft. Instead, you get to sleep on a cool surface that comes with a perfect comfort rating to ensure you’ll never wake up feeling distressed again. It is perfect for all sleeping positions thanks to the built-in bouncy yet supportive feel that offers advanced pressure relief and soothing of the body’s high pressure points to significantly diminish pain. The Best Price Mattress is recommended for scoliosis patients on a tight budget. Don’t let the unbeatable price tag fool you, it is an absolute patch of pure heaven that can transform the quality and length of your sleep. The integrated memory foams generate amazing comfort for each sleeper regardless of the current state of your health. As soon as you lie down, it begins to mold to your unique body shape, resulting in uniform distribution of weight while sleeping. This results in maximum pressure point relief to soothe pains from delicate parts of the body such as the back, hips, shoulders, and neck. Exceptional odor control and moisture absorption is achieved effortlessly through the manufacturer’s use of active charcoals. As such, pungent scents will never be a problem throughout the lifetime of the mattress. The Best Price Mattress is the option for those who want their nights to start feeling like floating on a cloud. Its ability to eliminate pressure points doesn’t just ensure you wake up pain-free, it also enables everyone to sleep deeper, getting maximum rest and waking up ready to conquer the world. The use of only CertiPUR-US certified foams means performance and durability while the 10-year warranty gives you the confidence to buy without worrying about throwing your money away. Available in densities ranging from 6, 8, 10, and 12 inches so you can choose just the right one for your needs and budget. The Zinus Green Tea Mattress provides a better night’s sleep thanks to its well-defined conforming and pressure-relieving properties. If you have been looking for a way to rest easy with hugging comfort on a magical body pain-relieving surface, this is your moment. 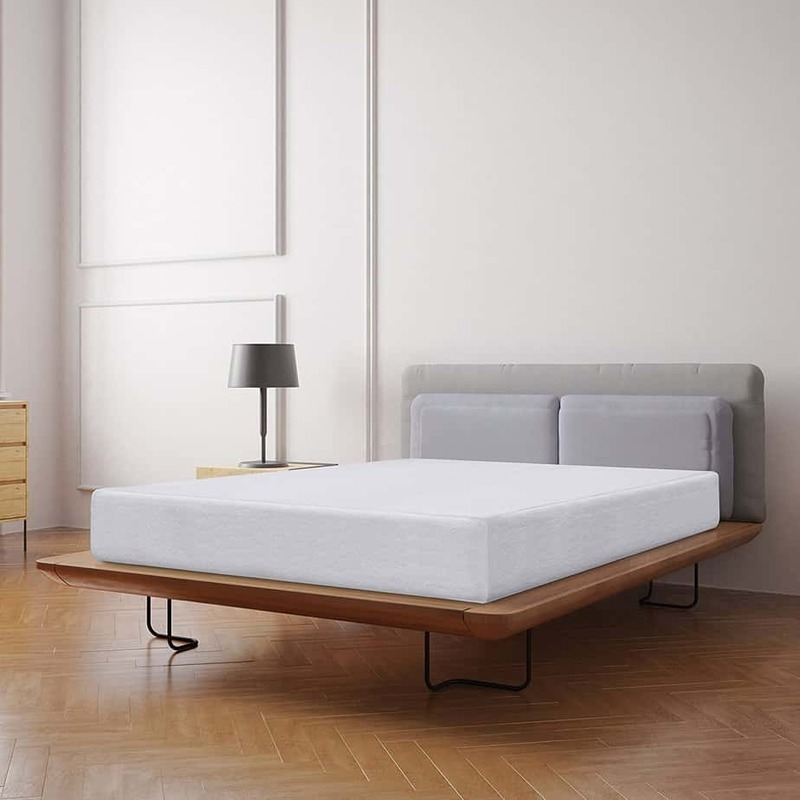 3 inches of Memory Foam sits atop the mattress followed by 2 inches of quality comfort foam as well as a 3.5-inch Airflow High Density Foam and a final layer that features a 3.5-inch High Density Base Support Foam. Each foam component has been independently tested and certified by CertiPUR-US for high-end performance, durability, and environmental friendliness. Odors and all forms of bacteria are smartly repelled by the Green Tea Extract and Castor Oil infused into the mattress. Additionally, it is hypoallergenic and protects the sleeper from all forms of harmful microorganisms. It is perfect for adolescents, teens, and adults with severe forms of back pain and pressure ulcers. The Zinus Green Tea Extract Mattress provides ample comfort and luxury. It is perfect for all forms of scoliosis as well as other pain-associated medical conditions because it flawlessly conforms to the natural shape of the body. Airflow Density Foam layers ensure increased breathability to keep your skin fresh, cool, and comfortable all night long. Each purchase is backed by a worry-free 10-year manufacturer’s warranty so you can buy with confidence. The Novosbed is constructed to give you the ability to sleep and wake up with all the comfort in the world. 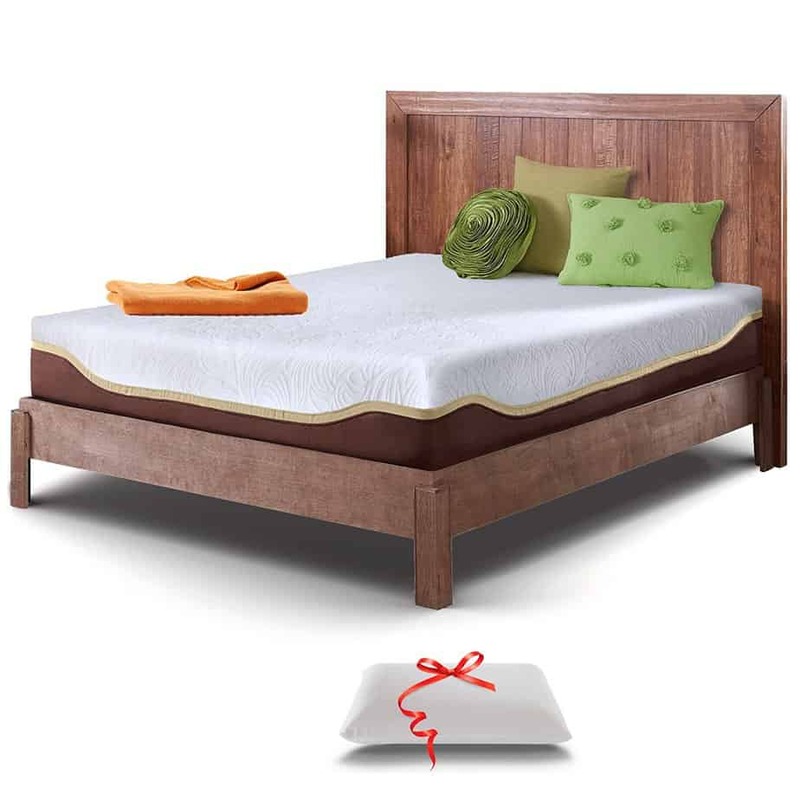 It offers a deluxe memory foam feel that can transform your nights to memorable ones. The mattress provides a perfect balance of support and plush-comfort to soothe the pain associated with scoliosis and other medical conditions that can continually impede the ability to get a well deserved night’s rest. 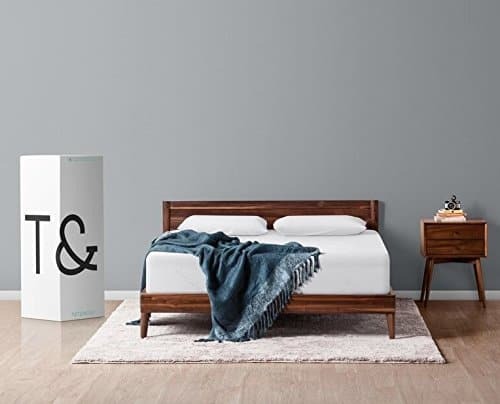 Thanks to the integrated vertical airflow channels, everyone sleeps cool regardless of whether you’re a naturally hot sleeper or live in a humid region. You can therefore say goodbye to the days when you dreaded going to bed due to the constant tossing and turning from the overbearing heat. The Novosbed comes in a Medium-Firm comfort rating that meets the needs of most sleepers. In the event that it turns out to be too soft or hard for your comfort needs after purchase, the manufacturer instantly makes things right by shipping a completely free Comfort + kit that will make your mattress a bit firmer or softer depending on your needs. The Novosbed is one of the few mattresses that ships completely free to anywhere in continental United States. Unlike other models, this offer is available to both Amazon Prime members and non-members. If you live in a remote area such as Alaska or Hawaii, paying a small shipping fee will get it delivered to your door step. Novosbed is completely sure of the quality and durability of this model and proves this by backing each purchase with a realistic 15-year warranty. The Eco Terra is the best hybrid mattress for scoliosis sufferers in particular and those suffering from all kinds of body pains in general. Engineered from 100% natural latex material with independently encased coils, you can expect to be sleeping comfortably for many years to come. Unlike the others, this model contains no additives with absolutely zero off-gassing. Majority of consumers enjoy sleeping on this model thanks to its Medium firmness rating that suits all forms of sleeping positions. With a 5.5 out of 10 rating on the firmness scale, exceptional cradling and support is guaranteed. Additionally, it serves as a great alternative to memory foam thanks to its isolated motion properties which prevent you from waking up your sleeping partner. The Eco Terra features a comfort layer made from 100% natural latex that is hypoallergenic and plant-derived. Whether you are suffering from severe disabilities or allergies, sleeping and waking up comfortably becomes the norm. The pinstripe design improves breathability while the soft organic cotton material top delivers a pleasant sleeping surface for enormous relaxation. The special 16-gauge USA Steel fabric-encased coils translate to effective elimination of pressure points and greater support as well as minimal partner disturbance. The Resort Sleep Elite provides a new era of comfort for its wide base of current owners. Regardless of which size you prefer, the top surface conforms perfectly to each individual’s unique body contours. 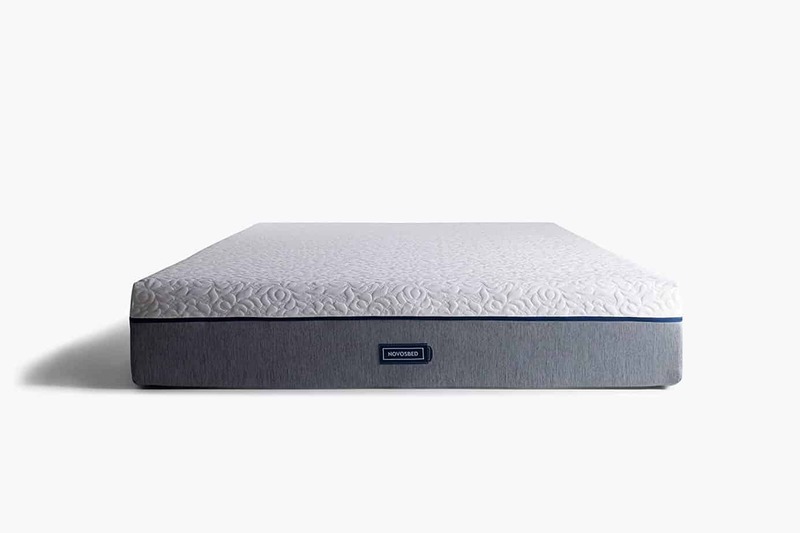 With a top surface that features 2.5 inches of Premium Airflow Memory Foam as well as 2nd and 3rd layers of visco elastic Memory Foam and High Density Base Support Foam respectively, perfect balance is guaranteed for everyone. The manufacturer has implemented the latest innovations in cooling technology to enable each sleeper gain maximum comfort even during hotter times of the year. This is achieved through the use of premium-grade plush materials instead of cheap inferior foams and other components. Additionally, the soft knit cover is machine washable and removable which means you can always keep them fresh. Have a long day ahead? This mattress will rejuvenate and set up your body to fire on all cylinders by the time you wake up in the morning. The Resort Sleep Elite is the best mattress for severe scoliosis according to many current owners suffering from the condition, thanks to its exceptional ability to relieve the body’s most delicate pressure points. It doesn’t just provide relief from back pain but also targets sore shoulders, hips, and other pain-ridden areas of the body. The Resort Sleep Elite’s signature feel significantly decreases tossing and turning for the most restless sleepers, ensuring complete rest for the day ahead. It is a highly-rated and top-selling model, with over 90% of verified buyers rating it 5 stars on Amazon and other popular online portals. Also, it ships with a free memory foam pillow. The Bed Boss Luxury Mattress gives you a perfect combination of everything you need to sleep and wake up like a boss. It comes in a comprehensive combination including brushed sheets, mattress protector, and extremely comfortable pillows. If you’ve been dreaming about the Tempur-Pedic GrandBed for a longtime but find its gigantic price tag beyond your means, how about an alternative that gives you a similar level of luxury at less than half the price? The Bed Boss offers you 15 inches of pure luxury from the highest grade visco elastic memory foam ever made. It delivers the ultimate level of sinkage to completely adjust to your body’s unique contours while evenly redistributing weight and eliminating the most delicate pressure points. The manufacturer’s full commitment to saving the planet means this mattress is built completely from natural and renewable resources. It is free from all kinds of toxins and other harmful chemicals commonly found in inferior models. 60-day risk-free trial means you get to test and decide whether to keep or return for a full refund. You still get to keep the pillows, protector, and sheets if you decide against buying within the trial period. The Bed Boss is simply a scoliosis patient’s dream thanks to the unrivaled degree of comfort and luxury it provides. 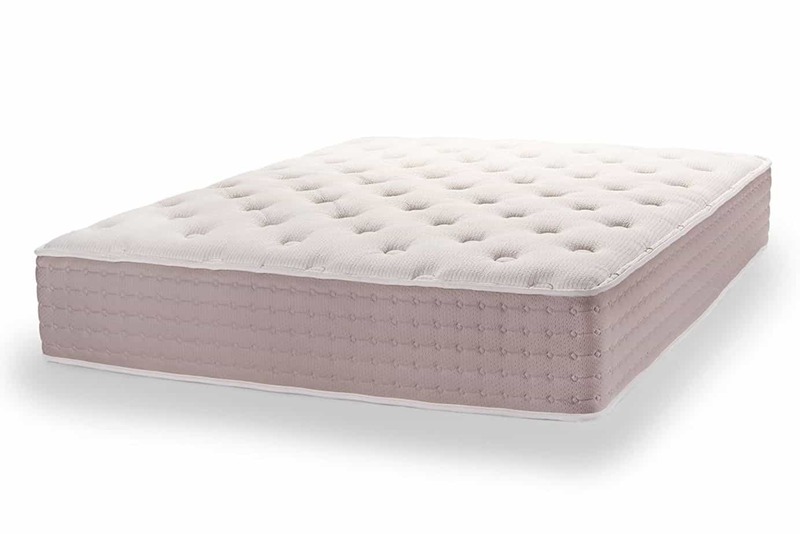 If you or your loved one is suffering from any form of curved spine and find its price tag within your budget, it is important to take a detailed look at this baby especially with its 4-inch semi-open completely breathable visco elastic memory foam top layer. It comes with 2 gel microfiber pillows that give a luxurious feel without any form of odors and allergens while the Brushed Microfiber sheet set with micro-yarn structure eliminates wrinkles, improves breathability, and feels very gentle on the skin. It also ships with an encase mattress protector that is hypoallergenic, breathable, and 100% waterproof. how long are you going to let scoliosis control your life and interfere in your ability to go to bed and wake up with comfort. Remember, lack of sleep can have negative effects on the quality of your overall health and prevent you from leading life to the fullest. Which of our top 7 mattresses is the best for scoliosis in your opinion? If you have any suggestions or need a personal review of any model? Please leave your comments below.